Just the other day, Mrs. Hassle-Free PC was bemoaning the flood of notification e-mails she gets from Facebook. "Every time someone mentions me or shares a photo of me, I hear about it in my inbox!" "Great," she said, "but who's got all day to find them?" Good point. As I've griped before, Facebook's settings are anything but intuitive. Of course, the same can be said of many other services that notify you to death. Thankfully, I've discovered Notification Control, a free service that sends you directly to the notification settings for over a dozen popular social networks. Among them: Ebay, Facebook, Foursquare, Google+, LinkedIn, Meetup, Pinterest, and Twitter. Just click the service and presto: you land on the notification-settings page for that service. There's nothing to sign up for or into (except your actual account, of course, assuming you weren't already signed in). 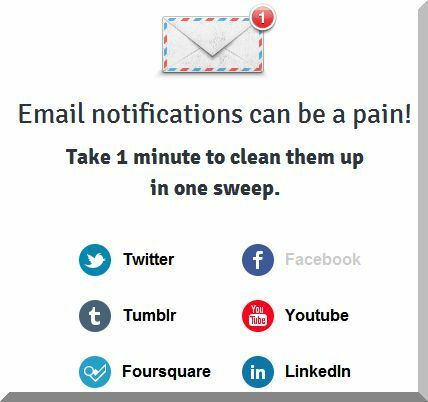 If this incredibly handy tool sounds familiar, that's because it comes from the same folks who brought you Bliss Control (which connects you to a variety of social-network settings, not just notifications). Simple, effective, and free. What's not to like?